The loony left and hypocritical, entitled elites of Hollywood just never quit in chipping away at classic, American family values. 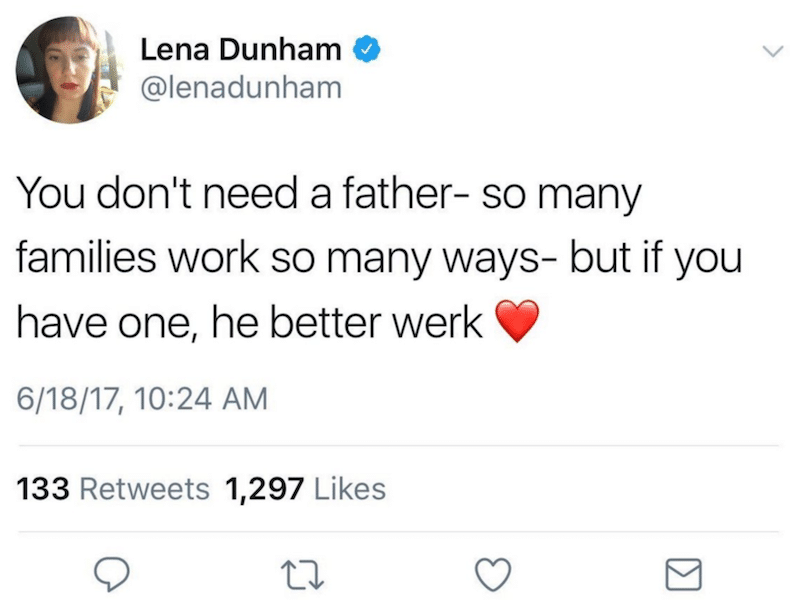 Here’s the latest from far left elitist, Lena Dunham. And those who still don’t like POTUS tweets, well, this is why he tweets. The MSM will never point out how absurd the leftist tweets are and destructive to our wholesome culture. 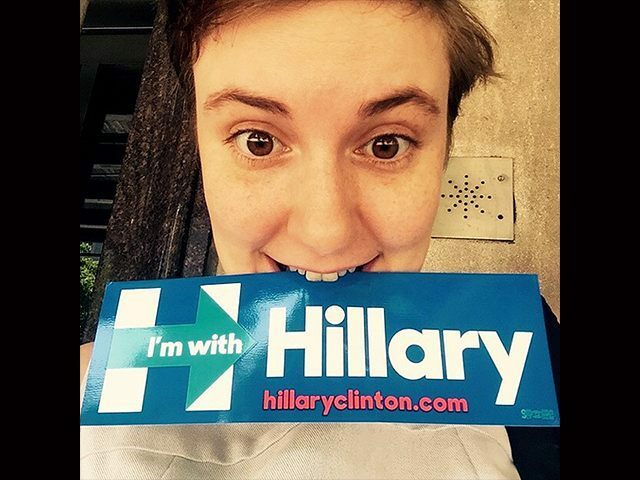 And then, of course, Dunham follows up with this tweet, after she deleted the first. Why can’t liberals just say, “Happy Father’s Day to all the awesome dads out there” and let it be? I’ll tell you why. PATRIARCHY. Everything is political to these people. You can’t possibly praise fathers without qualifying your position. You must first acknowledge that fathers are totally unnecessary because #GirlPower and note that a good chunk of dads are douchebag scum lords– yes. Douchebag scum lords. Only THEN can you wish the remainder of dads– who are, again, totally unnecessary– a happy Father’s Day. … Not sure why moms would have to act as dads too if dads are so– y’know– unimportant.